Borussia Dortmund booked their place in the last 16 of the UEFA Champions League after a 0-0 draw with Club Brugge. The scoreline might say differently, but Dortmund’s performance was dominant from the first minute to the last. Half chances came and went for Christian Pulisic, but Marco Reus had the biggest chance of the first half. The BVB captain was in one-on-one with Brugge goalkeeper Ethan Horvath, but dragged his shot wide of the American’s goal. It was the best chance of a half in which Dortmund had nearly 80 per cent of the ball. The second half continued as the first, with Dortmund controlling the ball in the Belgian side’s half, but struggling to breakdown what was a disciplined defence. 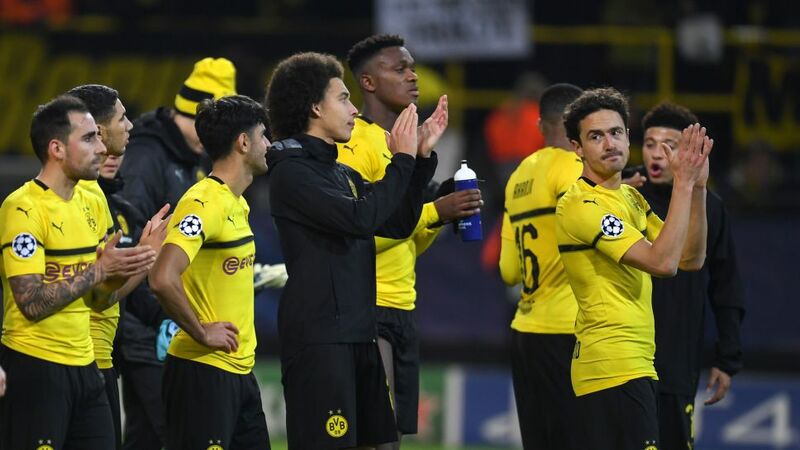 Reus, Paco Alcacer and Pulisic were the architects of the main chances, but Horvath was rarely troubled as Dortmund secured their place in the last 16 of the Champions League with the goalless draw, with top spot still up for place in the final match of the group stages. Alcacer is Dortmund’s top scorer this season with 10 goals in all competitions, one of which came in the Champions League win over Monaco.Pulisic celebrated his 20th Birthday and 100th senior appearance for Dortmund by scoring the winning goal in Brugge on Matchday 1.Marco Reus has had a hand in 19 goals in 19 appearances in all competitions so far this season, and has scored four in his last six games.Sixteen different players have scored for Dortmund this season - a club record.Brugge have only won one of their last 11 meetings with German opposition (D3, L7). They have never won in Germany (D4, L9), losing their last four in a row.